TBILISI, DFWatch–Georgia’s biggest opposition party, the United National Movement (UNM), is on the verge of splitting in two, as its key figures claim the party is in the midst of a ‘coup attempt’. 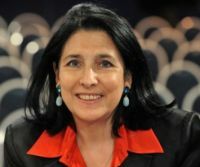 Givi Targamadze, the former chair of the defense and security committee parliament, emphasizes that UNM political council, which represent former president Mikheil Saakashvili’s top opponents, no longer enjoys power as all powers have been assumed by Organizing Committee of the party’s upcoming convention, of which Saakashvili supporters have strong grip on. Saakashvili formally stepped down as a UNM chairman in December 2015, after acquiring Ukrainian citizenship and stripped of Georgian citizenship by authorities in Tbilisi. 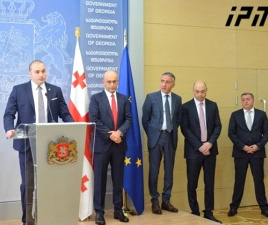 “A politician obsessed by the idea that he is the sole, irreplaceable leader of the party has gone so far that rivalry with his fellow members is [one of] his main priorities,” Targamadze said, clearly referring to Mikheil Saakashvili. Davit Darchiashvili, another key figure at the party, former chair of parliament’s foreign affairs committee, wrote on his Facebook page that UNM is ending its existence. “This is a drama, but not a tragedy. UNM would never have been the union of people that made enormous efforts to modernize the country. The history will continue. Do you remember the quote from the great novel Taras Bulba: ‘I gave you life. It is on me to take it away’? 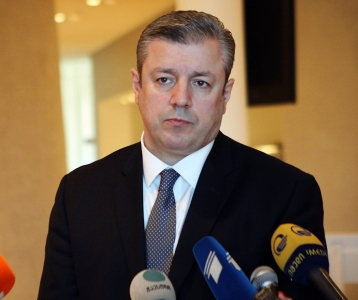 This fits perfectly the situation in UNM now,” Darchiashvili wrote. Prior to these statements, Saakashvili used Skype to address some of his supporters who had gathered in Zugdidi, the administrative center of Megrelia and a UNM stronghold. He spoke about a ‘conspiracy’ within the party. Saakashvili, who is trying to establish a new opposition party in Ukraine these days, emphasized that there are many lies being spread about him and he has been silent long enough; it is time to reveal the truth about the problems befalling the party. He emphasized that he can’t cooperate with people who have betrayed the cause. “I refuse to accept the logic of defeat, refuse to accept the rules of Ivanishvili’s game,” Saakashvili said. 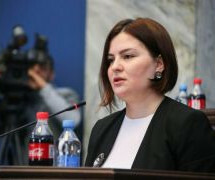 Responding to the comments, Elene Khoshtaria, a member of parliament and one of Saakashvili’s most vocal critics in UNM, said that calling fellow party members traitors and accusing them of being involved in some sort of deal with Ivanishvili is an insult against the party and its members. “It turns out that we’re not developing a democratic process. On the contrary, if you don’t agree with him and if you don’t act as Misha says, then you’re a ‘zero’, a nobody, and you shouldn’t be in this party. That’s the problem,” Khoshtaria said. 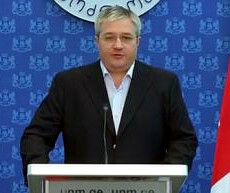 It’s not the first time there have been internal conflicts within UNM, but the conflict level has been on the rise and some commentators have said that the party will split apart at a convention planned for January, which will decide whether Saakashvili keeps his post as honorary chair and continues to shape the party’s strategy. 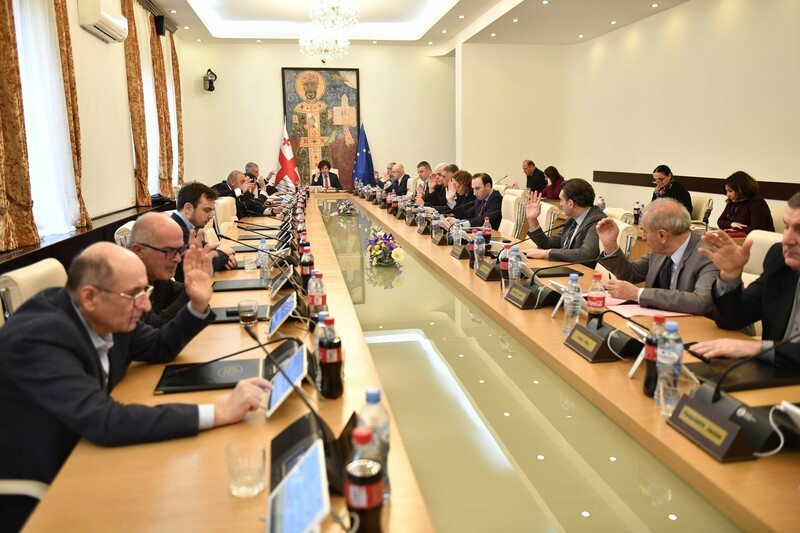 At a party conference on November 30, the faction supporting Saakashvili narrowly won a debate about the format of the upcoming party convention. The dilemma now confronting the party is whether it should elect a new leadership and rebrand itself over the next four years and make a comeback in the parliamentary elections in 2020, or allow Saakashvili, who is still technically the party’s leader despite having acquired Ukrainian citizenship and been stripped of his Georgian citizenship, to remain as leader of the party and lead it toward political suicide.